This camp is designed for middle school cross-country runners looking to prepare for the season, or anyone who loves to run! You will explore the trails throughout the James River Park System as well as travel to places like Pocahontas State Park and Freedom Park in Williamsburg. The goal is to log about 26.2 miles throughout the week! 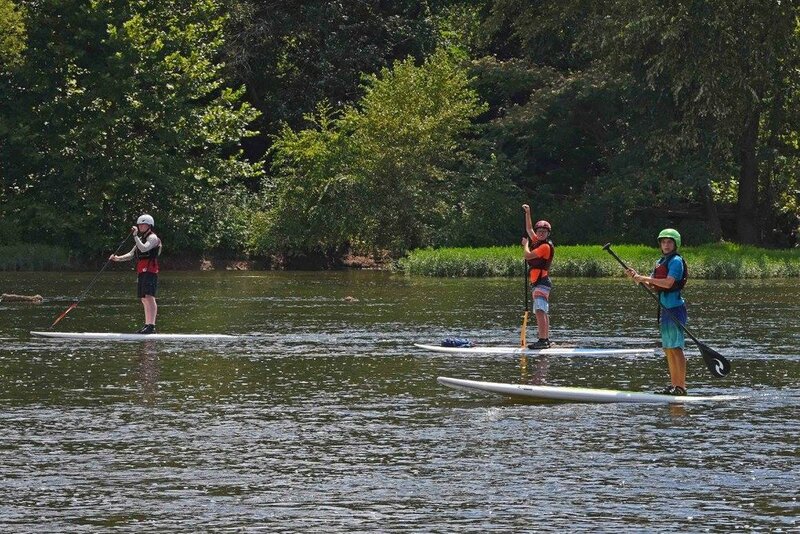 We'll spend the first half of each day feeding our passion for running trails and each afternoon cooling-off that passion and effort as we Stand-Up Paddle-board sections of the majestic James River - no previous experience required. 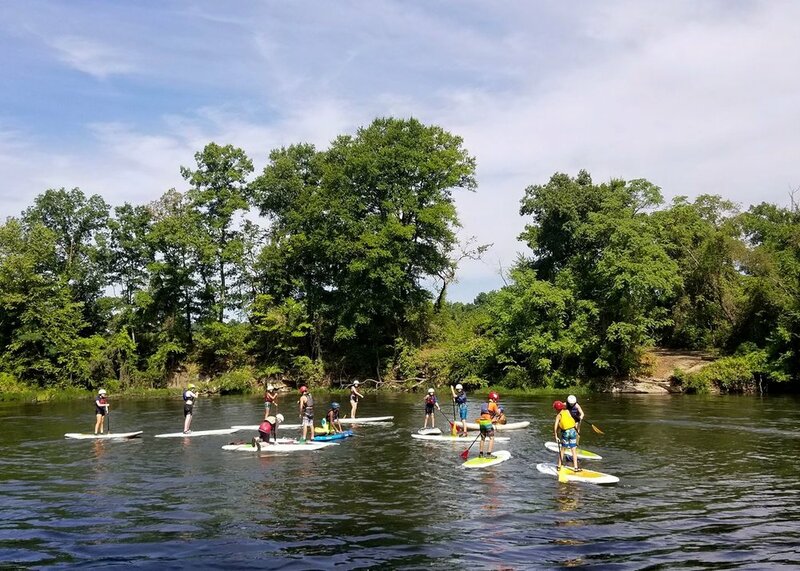 The week will also include additional fun activities on the James River including our 350′ Zip-line, rope swing, Wednesday cook-out and Pipeline swim. We provide all lunches and snacks and campers bring their own running gear. Separate water and running shoes are recommended for this camp. See what our campers and staff have to say! Bring your energy and a great attitude!